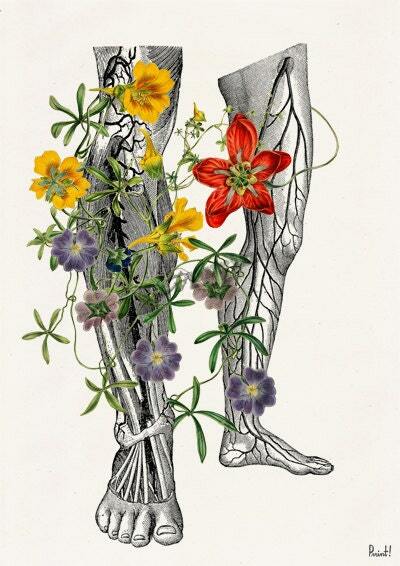 Human anatomy Legs section detail Wild flowers on my legs. 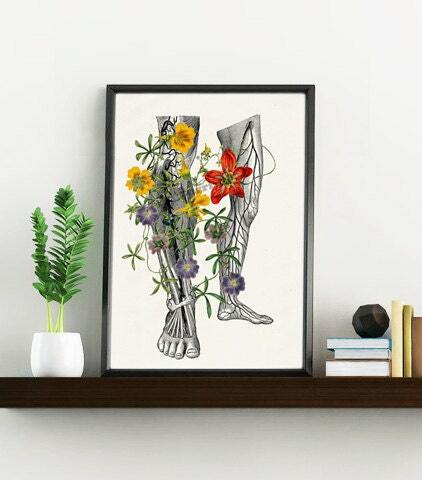 Science prints A4 wall art. 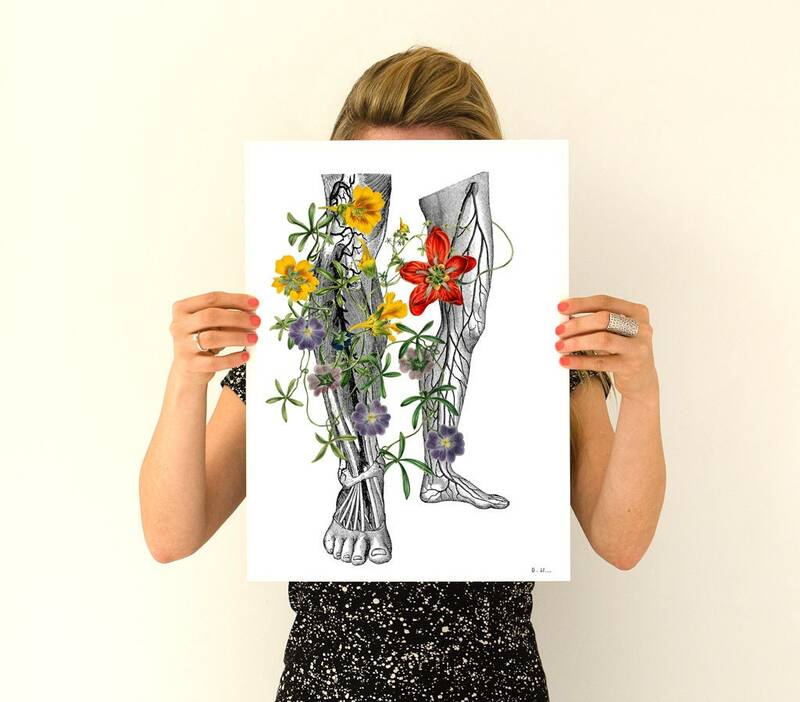 Human Anatomy Study and flowers art collage printed on off white color high quality archival matte paper. How about A3 poster ?? Item is nice, though I expected a slightly higher quality print out.